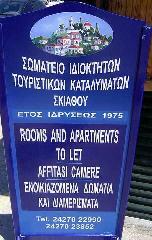 The Official Association of Rooms, Studios and Apartments of Skiathos welcomes you in our Island. 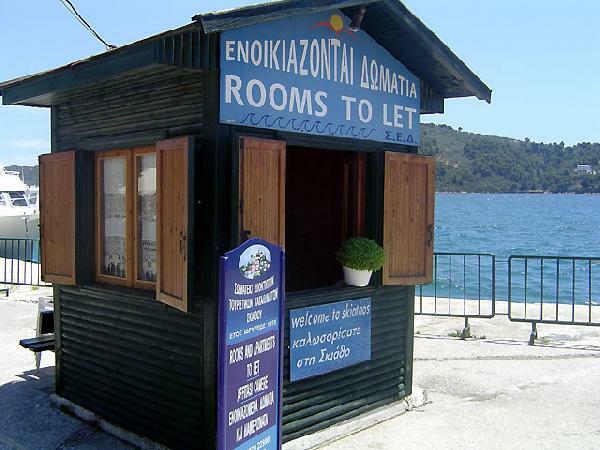 In our kiosk which is located at the port of Skiathos Island you can find the type of accommodation you're looking for. Numerous small family units are available providing comfortable and convenient staying. Our Association is looking forward to provide you the best services in order to enjoy you holidays in Skiathos. Είστε ιδιοκτήτης ή διευθυντής στο SKIATHOS ASSOCIATION OF ROOMS, APARTMENTS & STUDIOS; Εγγραφείτε τώρα για δωρεάν εργαλεία, που μπορείτε να χρησιμοποιήσετε για να βελτιώσετε την καταχώρησή σας και να συνδέσετε την ιστοσελίδα σας και το σύστημα κρατήσεών σας.